Blake Friedmann is now closed for the holiday season and will re-open again on January 3rd. Blake Friedmann is now closed for the holiday season and will re-open again on January 3rd. Until then why not read our authors’ festive novels, published this year, to tide you over ‘til 2018? Now is the perfect time to pick up CHRISTMAS AT THE GIN SHACK, THE LITTLE VILLAGE CHRISTMAS and CHRISTMAS WITH YOU on ebook, as they are currently on offer for only 99p on Amazon and Kobo UK. Don’t miss your chance to grab them now! Olive Turner might have lived through eighty-four Christmases, but she’ll never get bored of her favourite time of year. And this one’s set to be extra-special. It’s the Gin Shack’s first Christmas – and there’s a gin-themed weekend and a cocktail competition on the cards! But, beneath the dazzle of fairy lights and the delicious scent of mince-pies, Olive smells a rat. From trespassers in her beloved beach hut to a very unfunny joke played on her friends, it seems that someone is missing a dose of good cheer. Olive knows she’s getting on a bit – but is she really imagining that someone in the little seaside town is out to steal Christmas? More importantly, can she create the perfect gin cocktail before Christmas Eve – in time to save the day? Alexia Kennedy — a talented and ambitious interior decorator — has been tasked with giving the little village of Middledip the community café it’s always dreamed of. After months of fundraising, the villagers can’t wait to see work get started — but disaster strikes when every last penny is stolen. With the village residents outraged at how this could have happened, Alexia feels ready to head home to London and admit defeat. Tucked away in the Irish countryside, the Sugar Loaf Lodge is opening its door for the festive season. With snow falling on the mountains outside and warm fires roaring inside, it's the perfect place for guests to celebrate the happiest time of the year. But what if you've just had your heart broken? Or discovered that the man you're married to has lied to you? What if a secret from your past has finally come back to haunt you? For some of the guests arriving at the Sugar Loaf Lodge, Christmas is looking far from tranquil. But can they find the magic and romance of the season within the walls of this beautiful hotel? 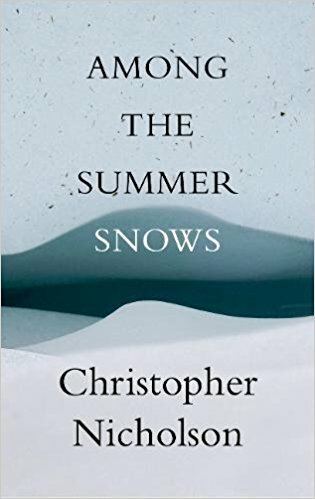 AMONG THE SUMMER SNOW is an account of a summer's journey through the Highlands of Scotland in search of the snow patches that remain. Interwoven are meditations on the science of snow, the art of observation, the legacy of other walkers such as Boswell and Johnson and the lure of the mountains themselves.